box. This activity was designed to motivate kids to do good deeds. which my right side angel would record as a good deed. Did I ponder over its meaning? With these thoughts in mind, I could not bring myself to write it as my good deed of the day. Every time I recalled a deed that I had done in the day, numerous questions came flowing with them and I was left with nothing to write! I slept without writing any good deeds. others. Also smiling is a charity. Speak good or keep quiet . Read the holy Qur’an, seek Allah’s refuge and do much azkar. Don’t spend your day without doing anything good. You need to do more good deeds in order to boost up your spirituality . Some brothers and sisters are neglecting the obligatory prayers Subhanallah! Do you pray in congregation or are you praying alone at home ? Are you praying at the right times? a disbeliever” (Reported by Imaam Ahmad). No matter what conditions you are in never leave your prayers , never abandon remembering Allah. Don’t let Satan conquer you , don’t let him whisper in your ears , you may be at your weakest point. And this will become an opportunity for Satan. Keep remembering Allah. The clock ticks and the sun sets. With every passing second we come closer to our end. We will all die. This duniya is nothing. Everything in duniya will come to an end and this duniya will come to an end. Wa alaikum as salam, thank you for your positive words! Wa alaikum As salam! Thank you for your kind words and true words! Wa iyakum! Beautiful article. Really does make a person think about the things he does each day….and his intention when he does.may Allah bless you always. Thank you for the positive words! 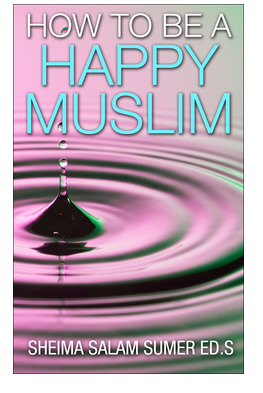 Masha Allah very nice article may Allah reward the writer and the blog owner . Thank you very much. Ameen and May Allah reward you too. 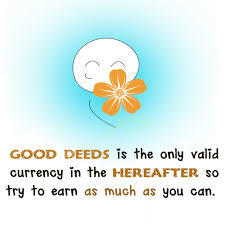 it made me think of good deeds I do!! Thank you for your positive words! May Allah bless you too. Jazak Allahu Khairan brother, truely this is inspirational article posted by your good selves. I would request each and every member to read it completely. Wa iyakum. Thank you for your positive words. Masha nice article it make me thinks about my good deeds. May the Almighty Allah reward the writer, the pubisher, we the readers and the entire Muslims in the world. Well speaking, its true we can boast ourself of doing good but with critical thinking about what we did we will found out to score zero. So I think my fellow brothers and sisters let’s take this advice.